As I’ve been writing and hinting at for a couple of weeks now (or at least it feels so–on my regular blog on jmdesantis.com, that is), Chadhiyana #5 is going to be released relatively soon. It has been a long wait between issues 4 and 5, and I’ve made some mention of why that has been in the past–not least that my publisher, Rosarium Publishing, was doing some work behind the scenes that delayed the issue’s release (Rosarium is still a very small operation, despite their growth over the years). 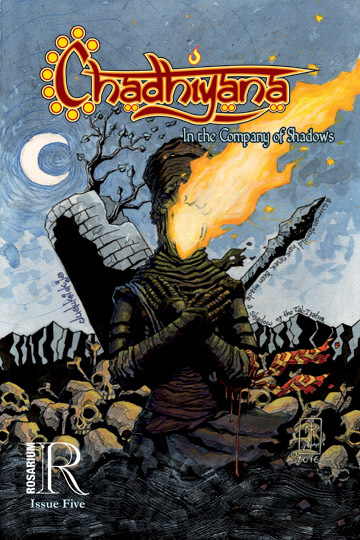 That said, my publisher and I think the wait just may be worth it, because we both agree this is by far the best issue of Chadhiyana yet. Of course, I’ll save much of my musing about the issue until it’s available, and I’ll let the reviewers do their work for now. 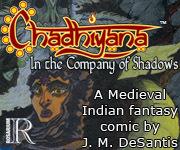 As with every previous Chadhiyana issue, #5 is currently available on NetGalley for reviewers: s2.netgalley.com/catalog/book/102443. The release date on the site is listed as January 11, 2017, but I’ve been told it’s been accepted by comiXology and in the past they’ve typically released issues earlier than their release date. Let’s all hope for the same thing this time around. I suppose that’s all for this week. Maybe. I may have another blog post up tomorrow (on my blog jmdesantis.com) which has directly to do with Gentleman Cthulhu (my other comic) and the most recent comics I’ve been doing on that site (gentlemancthulhu.com)–including the next one to post. But I’ll leave that until it posts. 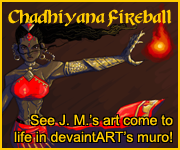 For now, as I’ve been saying for weeks, check out my online store (zazzle.com/jmdesantis–sorry, no Chadhiyana merchandise), consider getting a commission this Holiday season (jmdesantis.com/commission-requests) and wait in patient anticipation for the latest chapter in Chadhiyana’s story.